Internet Marketing Miami For Attorneys That Works! Obtain More Clients! Online marketing for attorneys is critical. MyCity Social in Orlando, Tampa, Fort Lauderdale, and Tampa knows firsthand that a lawyer who is active online is more likely to draw in clients than one who works solely through print. As a lawyer, you are constantly in competition with a million others who are promising the same quality service that you can offer. This means that your presence in the minds of consumers is everything. The more familiar you seem and the more you can draw in your potential customers with your familiarity, the more likely it is that they will contact you for your services. If you would like to learn more, contact us at MyCity Social. Why Does Online Marketing for Attorneys Matter? Your digital presence is a huge component of your overall presence with your clients. If you are virtually nonexistent online, you are going to appear as though you are not readily available. Many attorneys have various social media channels through which they communicate with their audiences. Those who have only print listings limit themselves from having a real connection with potential clients and rely far too much on word-of-mouth, which does not have the certainty that ample reviews and a trustworthy digital presence can have. By having a personalized, more tailored profile online, you can appear more approachable and understandable to your audience. How Do We Tailor Our Services to You? 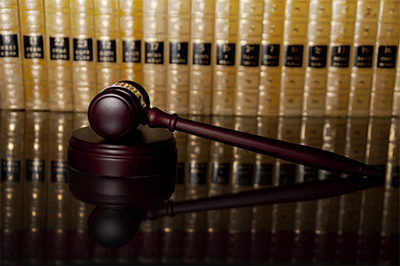 When we work with an attorney, we make sure to understand what their fields of service are. Not all attorneys are going to be personal injury attorneys, and not all attorneys are going to deal with maritime law. By understanding what your business caters to, we can then do the appropriate research to fully encompass the finer details of what the legal process is for that particular type of lawsuit. With this knowledge, we then create beautiful visuals and expert copy for ads that will truly transform and enhance your business’s digital presence. These will cover the specific fields that your business services and will give your audience the information that they need to initiate a lawsuit and necessitate your services. We can also highlight the expertise of your attorneys on staff so that your audience feels that they know them and is more compelled to trust them. To learn more about online marketing for attorneys, contact us at MyCity Social and speak to one of our digital marketers. We have ample experience with attorneys all over Miami, Orlando, Tampa, and Fort Lauderdale, so we are confident that we can give you the attention that you need and deserve. MyCity Social is located in Orlando, Tampa, Miami, and Fort Lauderdale, for your convenience. If you are an attorney in any of these cities and you are ready to upgrade your online presence, make sure to contact us and begin building a plan for your digital marketing. To learn more about our services and how we help lawyers, contact us at MyCity Social today to speak with a digital marketer about your business. Real customers. Real Results. Watch MyCitySocial customers tell their stories below.